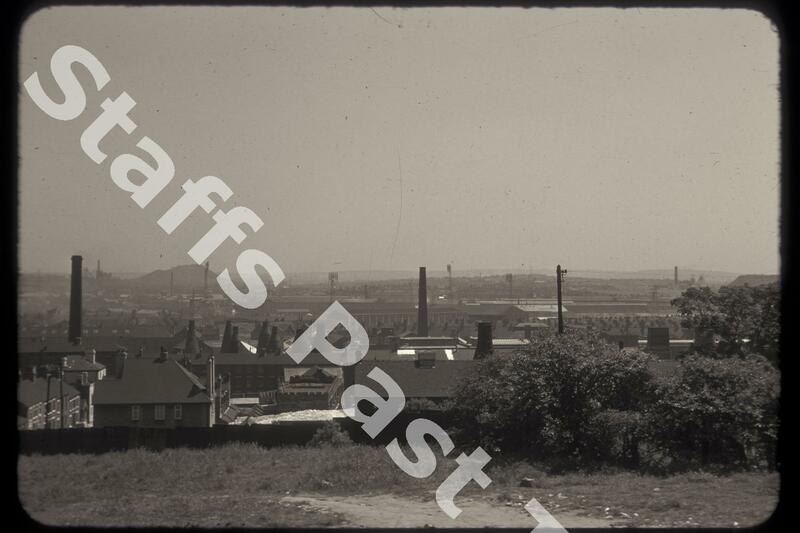 Description:A view south east from open ground near the top of Sturgess Street in Stoke-on-Trent. The roof in the centre foreground behind the trees belongs to the main range of Falcon Pottery Works, built 1902-1905. To the extreme left of the photograph is Sturgess Street, running down to London Road. 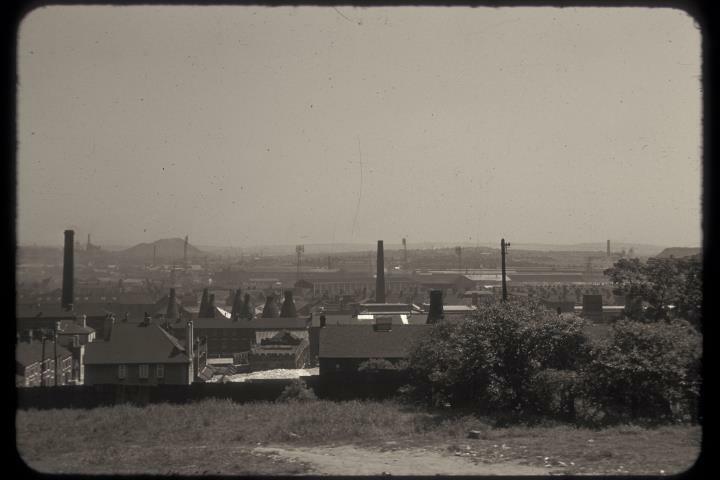 The cluster of bottle ovens and chimneys in the centre belong to the Minton factory on London Road. Further away in the centre are the four floodlight pylons of Stoke City's Victoria Ground with the front of the main stand and the stand at the Boothen end visible. The spoil tip in the distance to the left belongs to Glebe Colliery, todays Glebedale Park.